LOCATION: A Heritage Branch plaque can be found near the Chief Tetlenitsa Memorial Outdoor Theatre near the junction of the Nicola and Thompson Rivers at the Five Nations Campground, slightly northeast of Spences Bridge, on the Trans Canada Highway. It commemorates the life of one of the most remarkable British Columbians most people have never heard of–James Teit. When the anthropologist Franz Boas met James Teit in the summer of 1894, he hired him immediately. “The young man, James Teit, is a treasure!” he wrote. Educated in Scotland until only age 16, Teit became fluent in several First Nations languages. In addition, he spoke some German, Dutch, French and Spanish. This fluency enabled Teit to become the first literate activist for aboriginal rights in B.C. The chiefs of British Columbia referred to James Teit as their “hand.” When Prime Minister Wilfrid Laurier visited Kamloops in 1910, it was James Teit who prepared the official response on behalf of the Secwepemc, Okanagan and Nlaka’pamux nations, delivered by Chief Louis of Kamloops, to assert rights to their traditional lands. Teit also accompanied the delegation of 96 chiefs from 60 B.C. bands who met with Premier Richard McBride and his cabinet in Victoria in 1911. In 1912, he went to Ottawa with nine chiefs to meet with newly elected Conservative Prime Minister Robert Borden, during which time Teit translated the four speeches made by John Chilahitsa (Okanagan), Basil David (Secwepemc), John Tedlenitsa (Nlaka’pamux) and James Raitasket (Sta’atl’imx). Teit delivered a statement to Borden for the delegation: “We find ourselves practically landless, and that in our own country, through no fault of ours, we have reached a critical point, and, unless justice comes to the rescue, we must go back and sink out of sight as a race.” He returned to Ottawa with eight chiefs in 1916. When the 1912–1916 Royal Commission issued its report on aboriginal grievances, the Allied Tribes opposed it, and again it was James Teit who replied on their behalf, “The Indians see nothing of value to them in the work of the Royal Commission. Their crying needs have not been met.” In 1917, Teit and Reverend Peter Kelly sent a telegram to Borden to oppose conscription for aboriginal men, likening it to enslavement, because the land question remained unresolved and aboriginals were being denied their basic rights as citizens. At Teit’s urging, an order-in-council was passed on January 17, 1918, to exempt aboriginals from conscription. 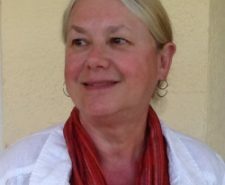 Teit and Kelly also published a 6,000-word pamphlet to formally reject the McKenna-McBride report on behalf of the Allied Indian Tribes of British Columbia, an organization Teit co-founded. In 1920, he circulated a document in Ottawa to members of parliament entitled A Half-Century of Injustice toward the Indians of British Columbia. 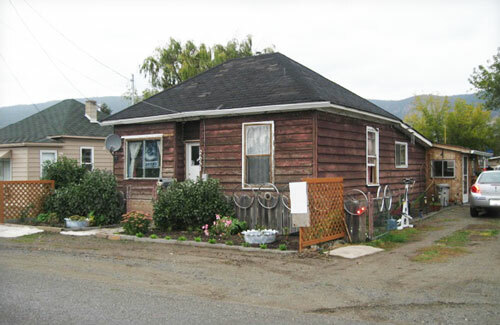 Born on the Shetland Islands, Scotland, in 1864, Teit immigrated to Spences Bridge in the Fraser Canyon in 1884 to help manage a store on the estate owned by his uncle, John Murray, at which time Teit reverted to the Norse spelling of his surname, Tate. He married a member of the Nlaka’pamux nation, Susanna Lucy Antko, with whom he lived happily for twelve years until her death in 1899. After Teit remarried in 1904, his six children received Scandinavian names. It is seldom noted that Teit became a member of the Socialist Party of Canada, reading socialist books by American and German authors as early as 1902. 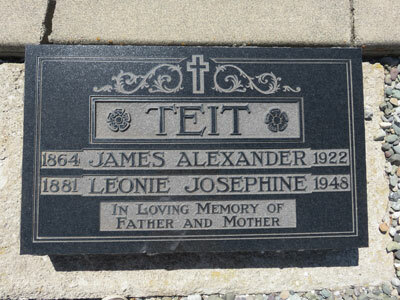 James Teit died in 1922, in Merritt. James Teit was not an Aboriginal, but he was the first highly literate, ongoing activist for Aboriginal rights in British Columbia, serving as a translator, scribe and lobbyist. The chiefs of British Columbia referred to him as their “hand.” He helped them co-found the Allied Indian Tribes of British Columbia in 1916, having previously helped form the Interior Tribes of British Columbia (ITBC) and the British Columbia Indian Rights Association in 1909. Known primarily as one of the main informants and guides for anthropologist Franz Boas, Teit published 2200 pages of ethnological material in forty-three sources and also produced almost 5,000 pages of unpublished manuscript material (according to UVic historian Wendy Wickwire in the Canadian Historical Review, Vol. 79, No. 2, 1998). It is seldom noted that Teit became a member of the Socialist Party of Canada, reading Socialist books by American and German authors as early as 1902. 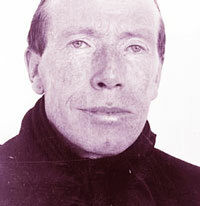 He subscribed to the socialist newspaper in Vancouver and occasionally made donations to the Western Clarion. In 1902 he wrote to a Shetland Islander, “Now I understand better what socialism is and what good news it has for people.” That same year he stated his views publically in the Canadian Socialist, “I am in favour of socialism and wish to understand its aims better. It is gaining ground here and if a socialist is run in the Yale-Kootenay district next election I think he is sure to go in.” British Columbia had already elected a socialist representative to its Legislative Assembly and Montana to the south had elected 18 socialists. 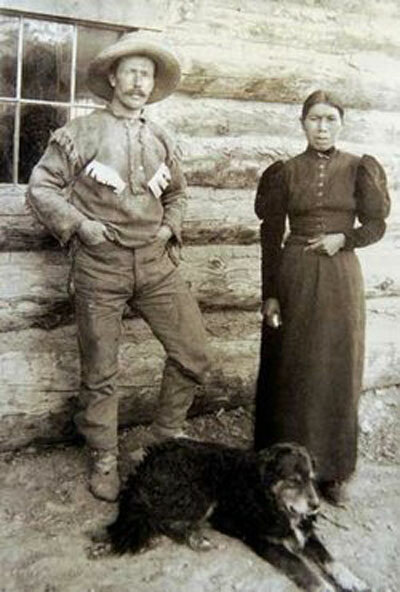 He married a Thompson (Nlaka’pamux) Indian, Susanna Lucy Antko, aged 25, on September 12, 1892, in a ceremony at Spences Bridge, officiated by Reverend Richard Small, but she died childless on March 2, 1899. They had lived happily together for 12 years. The cause of her death has been cited has either pneumonia or tuberculosis. Her marked grave can be found in Spences Bridge. Despite no formal education beyond the age of sixteen in Lerwick, on the Shetland Islands, Teit became fluent in several tribal languages, plus he spoke some German, Dutch, French and Spanish. A self-taught botanist, he also became an entomologist, a photographer of plants and people, and an anthropologist, receiving first-hand training from Boas during the summer of 1897. During this period they recorded songs and conducted interviews in the Spences Bridge region. Teit also accompanied Boas on a five-week trip from Spences Bridge to Bella Coola. He completed his first major publication, Traditions of the Thompson River Indians, in 1898, followed by The Thompson Indians of British Columbia two years later. Teit’s first writings were published by the British Association for the Advancement of Sciences as part of their paper, The North Western Tribes of Canada, in the Report of their 65th Meeting. It is tempting to suggest that effective Aboriginal political dissent within British Columbia arose with the appearance of James Teit, but in fact more than 100 Aboriginal leaders in the Fraser Valley had signed a petition in 1874 to protest the arbitrary division of their land and resources. Later in that same decade Father C.J. Grandidier, an Oblate priest, articulated similar complaints on behalf of Kamloops Indians in the Victoria Standard newspaper. In 1904, escorted by Father J.M. Lejeune, Chiefs Chilahitsa of Douglas Lake and Louis of Kamloops travelled to England hoping to gain an audience with King Edward VII. When this gambit proved unsuccessful, they continued to Rome where they gained a hearing with Pope Leo XIII. No doubt this audience with the Pontiff influenced the plans of Squamish Chief Joe Capilano in 1906 when he travelled to London in 1906 and gained a sympathetic audience with King Edward VII, along with Cowichan chief Charley Isipaymilt and Shuswap Chief Basil David of the Bonaparte Band. Upon Capilano’s return, a petition signed by sixteen chiefs from around the province was presented to Canadian authorities to assert that “the Indian title” to their lands had never been formally extinguished, as was the case in most other regions of Canada. Chief Joe Capilano convened an organizational meeting of Aboriginal leaders in December of 1907, giving rise to a delegation of twenty-five chiefs to Ottawa in 1908. In July of 1908, Teit also became directly involved, writing the text for a four-page petition entitled “Prayer of Indian Chiefs”, signed in Spences Bridge and sent to the superintendent general of Indian affairs, A.W. Vowell. This document demanded better schools, resident doctors and compensation for railway rights of way. “Our country has been appropriated by the whites without treaty or payment … In comparison with our fellow Indians of Alberta, Eastern Washington and Idaho, we have been simply neglected to speak mildly and we feel this strongly.” In 1910 Teit spent much of time visiting reserves for Indian rallies on behalf of the Indian Rights Association (IRA). This liaison work was demanding and not entirely welcome. He later wrote, “I simply could not get out of this work. I was so well known to the Interior tribes and had so much of their confidence, and was so well acquainted with their customs, languages and their condition and necessities they kept pressing me to help them and finally dragged me into it.” Teit’s efforts to unite the activities of the IRA and ITBC left him precious little time for anthropological work. Once more Teit traveled to Ottawa, this time with eight ITBC chiefs, in May of 1916, in an attempt to influence Borden directly, but it was clear the Royal Commission was never intended to appease Aboriginal interests. Upon his return to Vancouver, Teit attended the three-day meeting of Aboriginal leaders in June that succeeded in uniting the ITBC and IRA to produce a larger umbrella organization, the Allied Tribes of British Columbia (ATBC), to represent all factions opposed to the government’s unwillingness to compromise with regards to its Royal Commission. A four-man executive committee for the new ATBC was duly elected, consisting of the Methodist minister Peter Kelly, John Chilahitsa, Reverend Arthur O’Meara, Basil David and James Teit. By war’s end, Teit and Kelly reconvened and published a 6,000-word pamphlet entitled Statement of the Allied Indian Tribes of British Columbia for the Government of British Columbia in order to formally reject the McKenna-McBride report on behalf of the ATBC. Arthur Meighen, the federal Indian affairs minister, nonetheless introduced Bill 13 to implement the controversial Commission Report. Teit, O’Meara and four chiefs once more made the journey to Ottawa, circulating a document to members of parliament entitled A Half-Century of Injustice toward the Indians of British Columbia, but to no avail. The bill passed its third reading on April 13, 1920. The Allied Tribes were insufficiently organized to muster further protests after the federal Parliament stubbornly went ahead with its recommendations. More sympathetic when he took office, William Lyon Mackenzie King sent his Minister of the Interior, Charles Stewart, to Vancouver in 1922. But by then Teit’s health was failing. James Teit’s house, now a privately owned Arts and Crafts bungalow, remains in Spences Bridge, on the north side of the river, alongside Teit’s workshop. About 3 kilometres north of the village is The Hilltop Farm location where Teit’s in-laws lived in an house he owned (still standing in 2015), As well, Teit and second wife, Josie Morens, lived there with the Morens parents until they moved into Teit’s bungalow in the village. Teit also had a ranch above the Morens ranch (in the Twaal Valley). There is a family cemetery behind the Morens house that includes Teit’s relatives and some of his children. By far the best commemorative display for and about James Teit can be seen at the Merritt Museum. Teit’s gravestone can be found at the Pine Ridge Cemetery in Merritt at 1675 Juniper Drive. Teit, James & Franz Boas. Coeur D’Alene, Flathead and Okanogan Indians (Fairfield, Washington: Ye Galleon Press, 1985). Hosted by the Cooks Ferry Indian Band (Nlaka’pamux Nation) the Gathering is designed to celebrate and honor the work done 100 years ago by the Shuswap, Okanagan, and Nlaka’pamux Tribes assisted by noted ethnographer James Teit in developing the Sir Wilfred Laurier Memorial document. Between the years 1920 and 1922 Spences Bridge was the centre of meetings of Indian Leaders concerned with how their rights to land were being ignored by the federal and provincial governments. The gathering was also the grand opening of the Chief Tetlenitsa Memorial Outdoor Theatre. Chief David Walkem welcomed all in attendance to Nkemcin, the mouth of the Nicola River on behalf of the Cooks Ferry community. Chief Walkem wore a traditional Nlaka’pamux headdress and buckskin shirt designed by Councillor Pearl Hewitt who as well wore traditional dress of buckskin and woven silver willow cape and hat. Master of ceremonies Raymond Phillips welcomed all in Nlaka’pamuxcin and introduced the three traditional Stickmen Ira Tom (Okanagan), Dennis Saddleman (Nlaka’pamux) and John Jules (Secwepemc). The Stickmen carried a staff with an eagle feather and their role was to uphold protocol in a respectful manner while keeping the event going. Chiefs and representatives of the original three signatory tribes were then asked to come forward and sign the following: “We the undersigned Chiefs and designated Representatives of the following Secwepemc, Sylix, and Nlaka’pamux Indigenous Nations gather together 100 years later to honor our ancestors efforts to find a just and lasting resolution to the land question and to rededicate our efforts to uphold and carry on the spirit and intent of the original Memorial this 11th day of June, 2010?. At the end of the ceremonies Chief Walkem with help from Chief Kowaintco Michel and Cooks Ferry youth presented each invited Nation with an eagle feather and a vest designed by Nlaka’pamux designer Shannon Kilroy with logo done by Nadine Spence (Nlaka’pamux). After the ceremonies a feast was held at the Chief Whistemnitsa Community Complex, named after another original signatory from the Cooks Ferry community. The open mike at the feast was a great place for stories and thanks for the day.